Replacement: None. 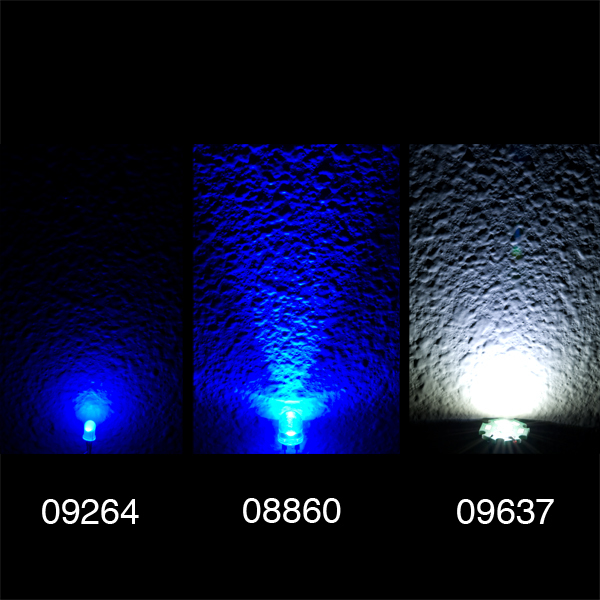 We are no longer carrying this LED breakout in our catalog. This page is for reference only. 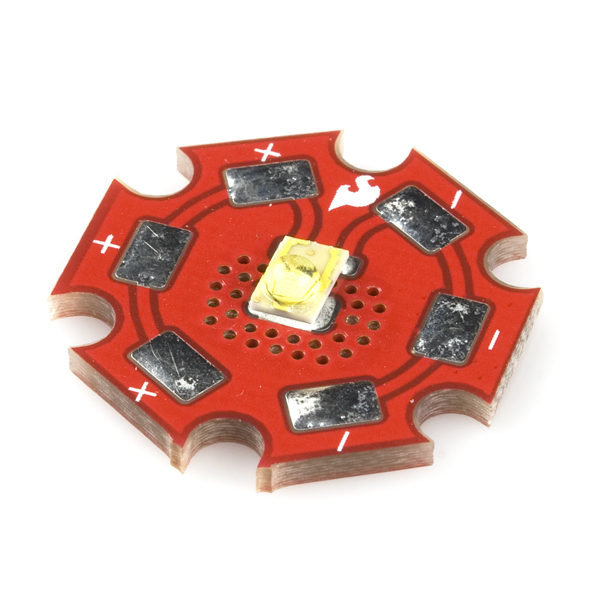 This is a breakout board for the very high-intensity Warm White Luxeon Rebel LED. 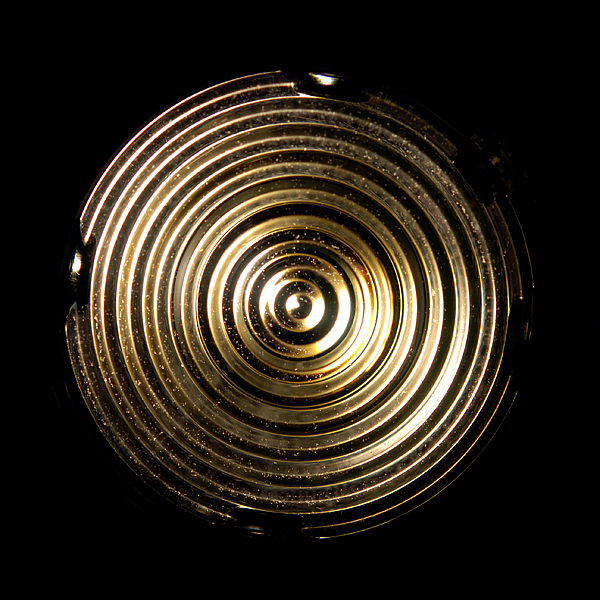 The board is designed to dissipate damaging heat away from the LED to the back of the board. 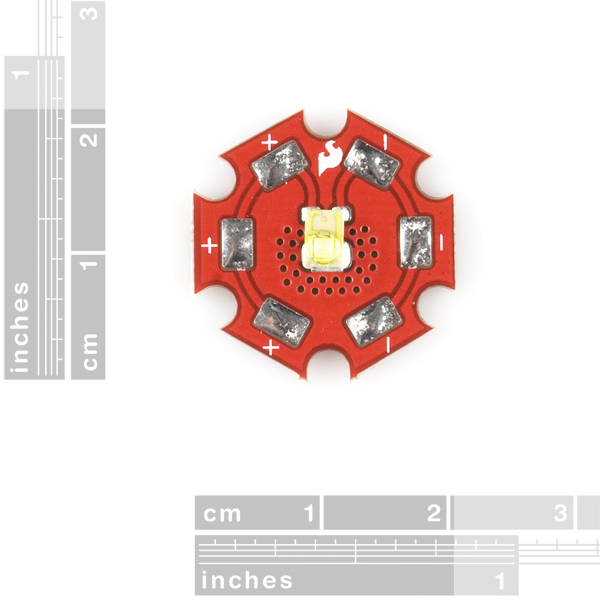 There are three pads for each the anode and the cathode of the LED. I'm wondering if anyone has and knowledge of the light ramp and decay times. So when we apply a specific current, how long does it take for the light output to reach maximum? And then when the current is removed, how long for it to fall off? Can I hook this up to an Arduino and run it with a 9 volt battery pack? Hrrm. It looks like you have a thermal relief on the thermal pad of the LED - isn't this a bit disingenious? Seems a bit pointless given the otherwise thorough thermal design, what with all the vias dotted around it and all. It looks to me as if the thermal design is nearly identical to the suggested design in the datasheet. If anyone is disingenuous it's Luxeon. No, the thermal design is completely different. The one in the datasheet is correct; the top copper pour is connected directly to the thermal vias. On this PCB, there is a thermal relief around the thermal pad - look for the dark corners around it. These increase the thermal resistance.